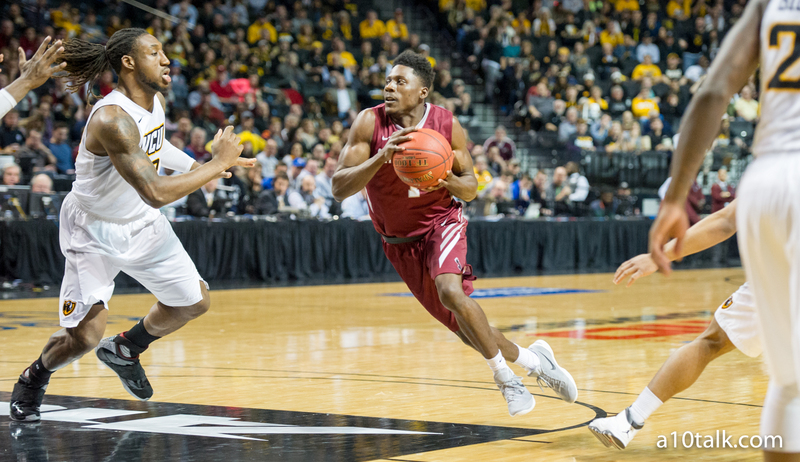 Given this team’s outlook for the 2016-17 season, there’s not a lot you can complain about upon the conclusion of Saint Joseph’s non-conference slate. The Hawks enter A-10 play with a 6-5 record, which isn’t stellar by any means, but you have to keep in mind that this team played one of the tougher out of conference schedules. The Hawks lost games to Villanova, Temple, Ole Miss, North Carolina State, and Illinois State, all of which are Kenpom Top 100 teams. Though Saint Joseph’s was able to beat teams like Illinois State and Temple last season, we have to keep in mind that this is a rebuilding year for Phil Martelli. The Hawks lost two of the league’s best players in DeAndre’ Bembry and Isaiah Miles this past offseason. There’s one good win that stands out for Saint Joseph’s before entering league play. The Hawks went on the road and got an impressive win over Princeton. The Tigers, though they’ve had a rough go-around in non-conference, have a real good shot at winning the Ivy League this year. This was a confidence-booster for the Hawks who were able to survive a late Princeton surge and hold on for a road victory. This is not the same road warrior team we saw last year, but the Hawks still know how to play with grit and toughness away from Hawk Hill. I wouldn’t call this a “good win,” but Saint Joseph taking down Loyola Chicago in the Paradise Jam is probably its second best win. The Rambles are 10-3 entering conference play and even have a steal win over San Diego State, so I guess this win doesn’t look bad for the Hawks. Unfortunately for Saint Joseph’s, it would be in such better shape if it took a win or two over Ole Miss, North Carolina State, Illinois State or Temple. Those were all solid chances for the Hawks to move the needle against potential tournament teams, and they fell flat in all 4. As noted above, none of these losses can really be considered bad for this team. Saint Joseph’s beat all of the teams it definitely should’ve beaten. The Hawks survived at home to Toledo and on the road against Drexel by one point apiece, and either of those losses probably would’ve been considered bad. But this Saint Joseph’s team is pretty average heading into conference play. It has 1 win over a Kenpom Top 100 team in Princeton and no losses to teams outside the Top 100. If you had to pinpoint a “worst loss” for Saint Joseph’s, it’d probably be Ole Miss, but the Rebels are still a pretty dangerous looking team that will do some damage in the SEC. Saint Joseph’s was so average this non-conference season, so it’s tough to give the Hawks anything but a nice B. If we’re talking about how this team looked (especially in close wins over bad teams like Drexel), maybe this team gets a lower grade, but based on the body of work, there’s not a lot to fuss over. The Hawks are likely to finish in the bottom half of the league this year, but I’m curious to see if they can make a run. We haven’t seen this team drop any bad losses, and we’ll have to see if it can get over the hump and take down some good teams. Follow us on Twitter and like us on Facebook for more Saint Joseph’s content.